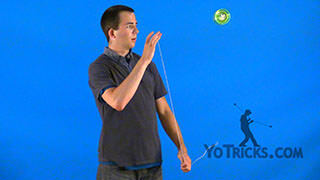 Learn Goldilocks Zone, a 4a offstring yoyo trick. 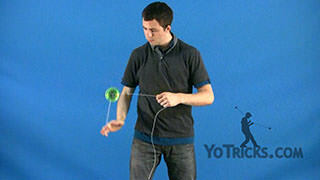 Goldilocks Zone Yoyo TrickThis is the combo Goldilocks Zone, and it looks like this. 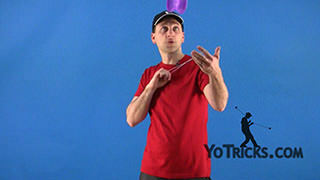 You will notice that I am incorporating a whole lot of elements that involve Arm Orbits, so if you have not learned that trick, go ahead and checkout the Arm Orbits video. 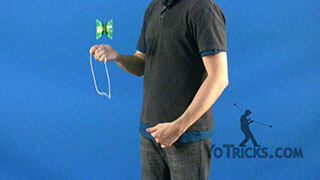 To start this combo, you are going to be doing two repetitions of Arm Orbits. 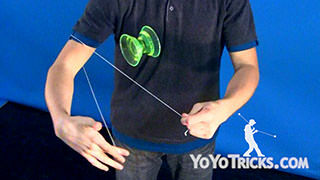 After that, you are then going to go up on the other string – after the two Arm Orbits, you hop up onto the other string, like so. 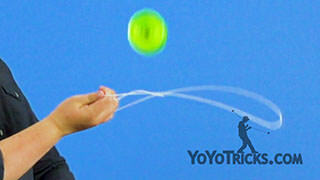 After you hop on this string, you are then going to roll it behind you into this. I will show you from the side here. 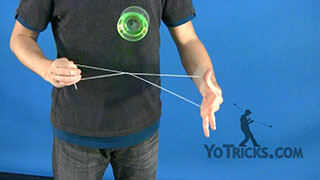 After you hop up onto the other string, you are then going to roll it around like so. Notice that it is draped over my finger on my non-dominant hand as well. 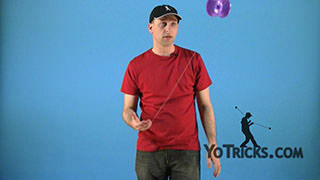 What you are going to do, is it is going to roll over top of your non-dominant hand, then you are going to dip your dominant hand under, like this and make it hit the string. 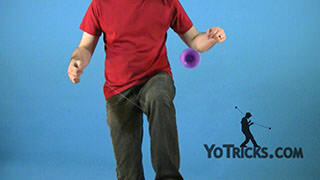 You are going to hit the other string, roll over, and keep it on your elbow as well, then you are just going to roll the yoyo over onto your non-dominant hand, and it is going to fall of this string, and then it is going to hit this string, like so. 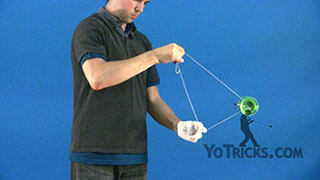 The next part of the trick, is, you will be back in the same mount as you were before after this. 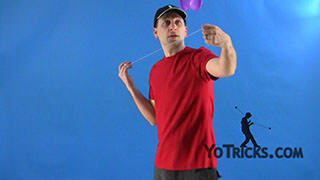 You will be back in the same mount as you were after you do this initial pop. 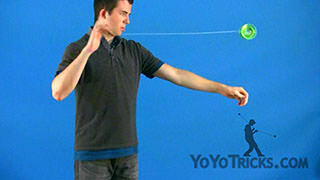 This time you are going to roll it around your arm again, but this time you are going to miss your elbow. You are going to miss your elbow, and you are going to be in a cross arm mount, and then you are going to roll it over again. 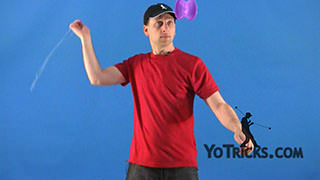 That way your non-dominant hand is over your dominant hand. 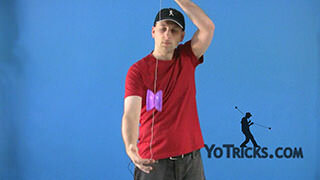 After you do that you will be back in this position here, and this time you are going to stick your right elbow into the middle of this, like so. 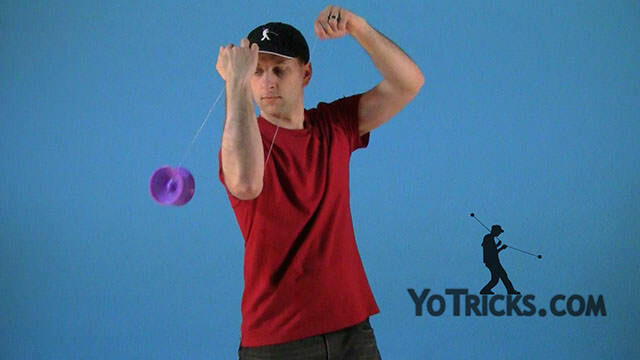 You are just going to stick your right elbow in like this, or you can think of it as your non-dominant hand gets pulled over to this shoulder here. 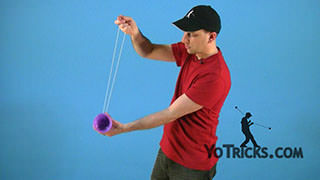 As you are in this mount right here, you are then going to pop it over onto the other string, just like you did in the original Arm Orbits into this string. 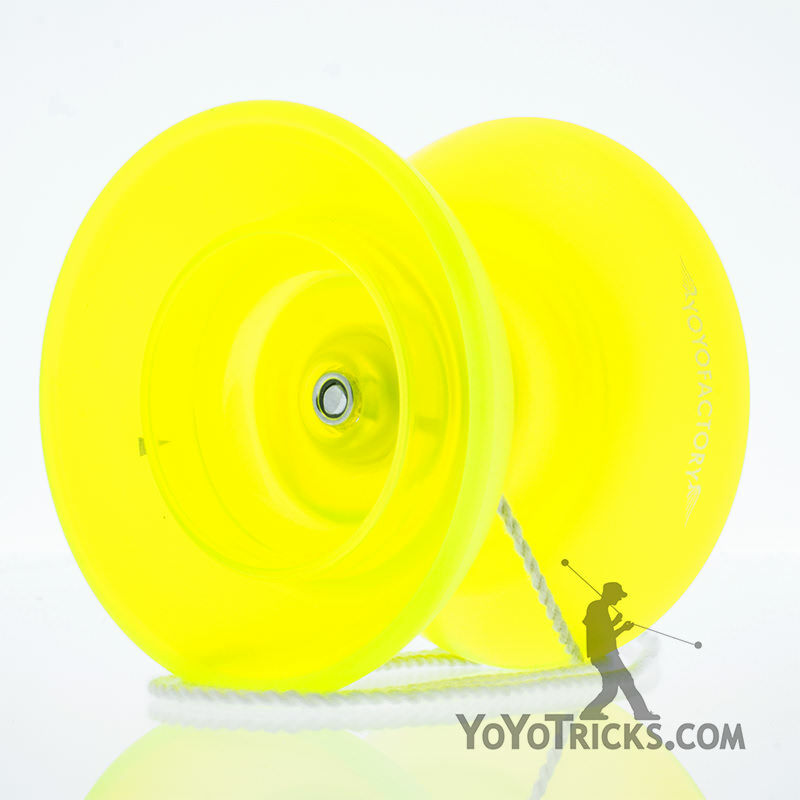 You are just going to hop it over on the other string. 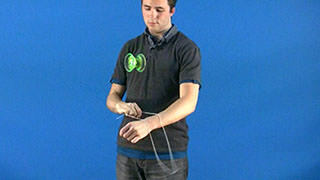 You will see here I start this mount by holding this string out of the way, once I pop it up I will then move this string over and catch it on this one, like so. 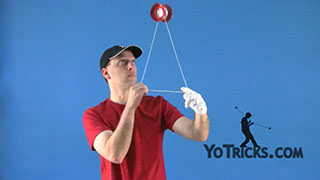 After you do that, after you hit it here, you then going to pop it up into the air, and then bring your non-dominant hand over in against the string here, and then you are going to perform a Recapture with your dominant hand like so. 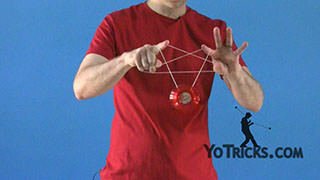 After you perform the Recapture, the yoyo is going to want to swing up and behind you like this. 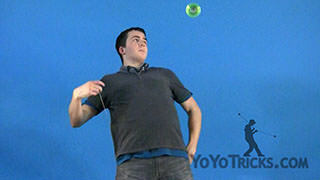 You are going to do one flip, and then make sure it misses all your elbows and goes to the outside, like so. 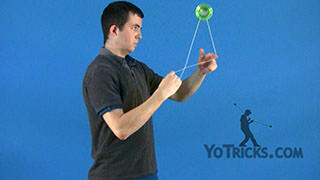 After you do that the yoyo is going to be spinning in this direction, which is the natural way to hit a Back-Burner. That will be the last part of the combo. 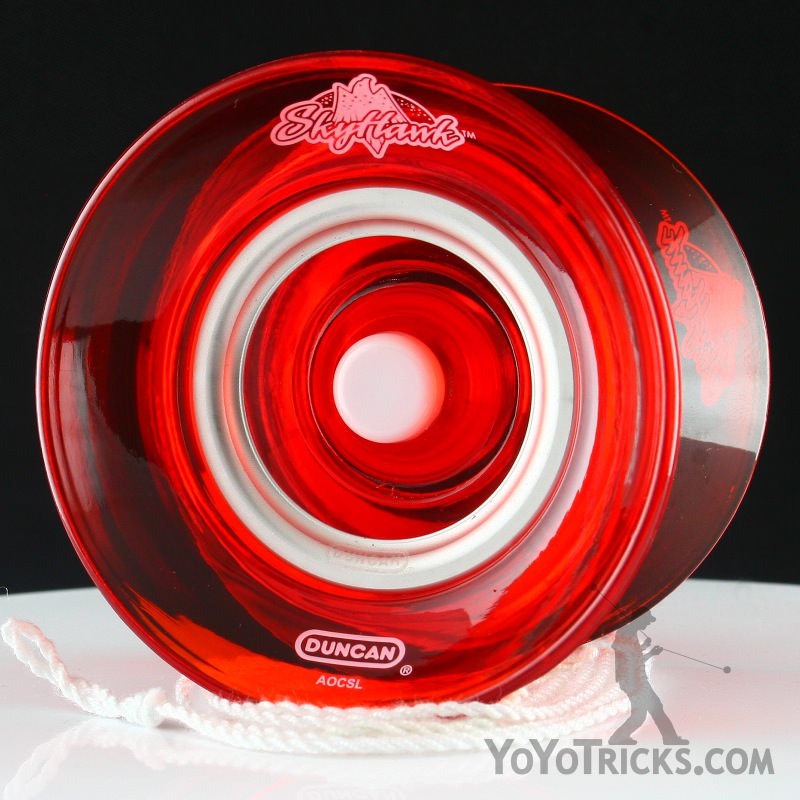 Again, here is the entire Goldilocks combo for you here. 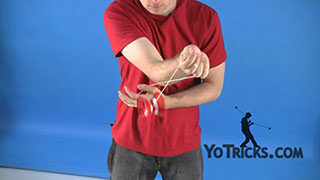 Basic Arm Orbits, hit the other string, roll around, then you are going to roll around again and miss the elbow this time, two rolls, stick your elbow in, pop it up, hit the other string, recapture, roll, back-burner, and catch. It will take a lot of practice to get all the steps down, I recommend learning just one part at a time. Learn the Arm Orbits, learn all the hops, and make sure that you can do all of those on their own, then incorporate them into the combo little by little and keep building it up until you can make it all the way to the back-burner at the end. 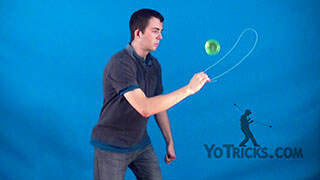 Keep practicing it, and you are well on your way to becoming a full length featured offstring player. That is the Goldilocks Zone.